PRESENTATION OF CERTIFICATES | How important is Art in our life? 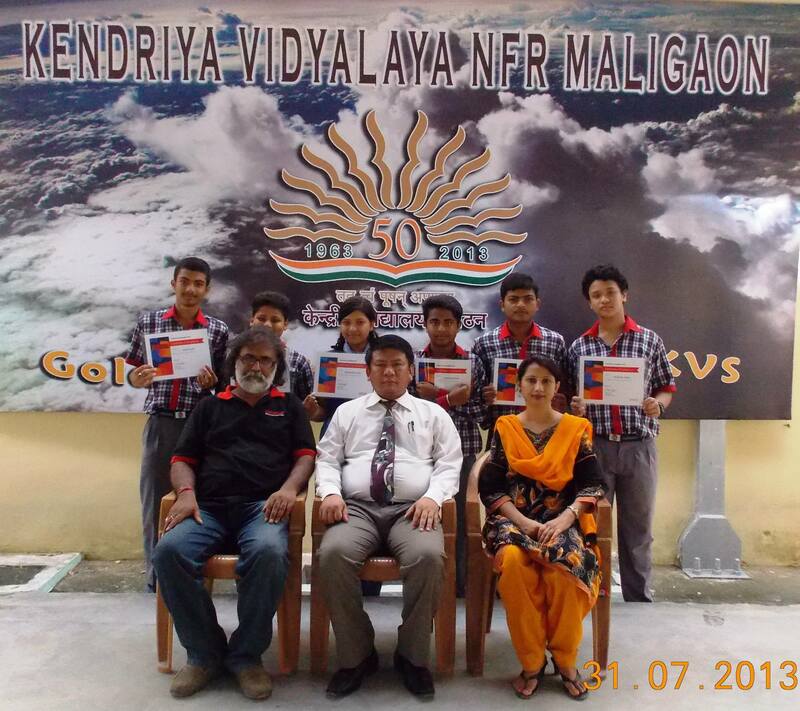 ‘Team Color Panorama’ with Mr.K.Alung Khumba, Principal Kendriya Vidyalaya NFR Maligaon with Mr. Anutosh Deb, Art Teacher & Facilitator of the project and Ms.Zeenat Fatema Rashid, Primary Teacher, after the certificate presentation. 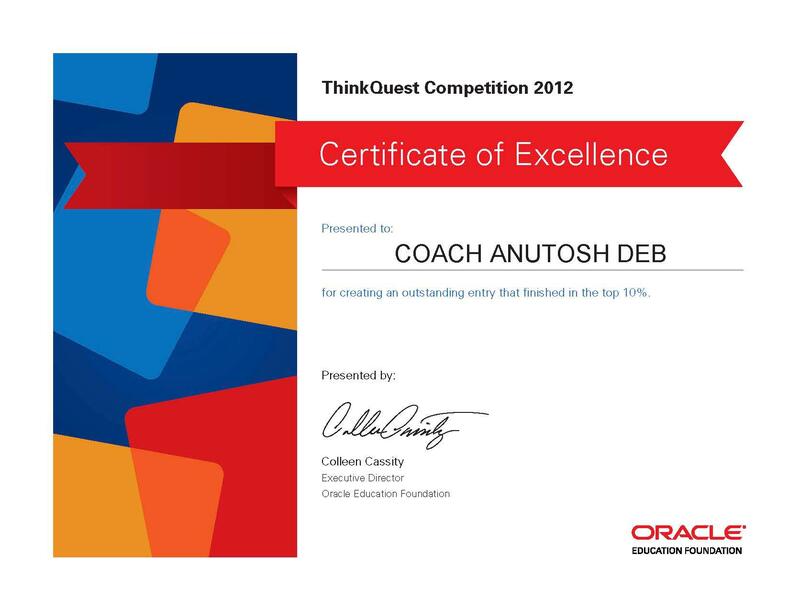 CERTIFICATES FOR TOP 10% ENTRIES SUBMITTED GLOBALLY IN THE THINKQUEST COMPETITION 2012..!